So after looking into peeps for my new Chaser, and taking the rear sight apart, I think I've found a cheap, good and easy way to get a peep on here. If you buy the rifle kit, you get a spare sight blade. Pop the one off the barrel band - it's now a spare. Now remove both windage screws and slide the blade out. This is the part you need to alter. It could be as simple as gluing some stock on the existing blade, or you could print/mill/use your heat vision to ablate some stock to make a peep that screws in place of the factory blade. 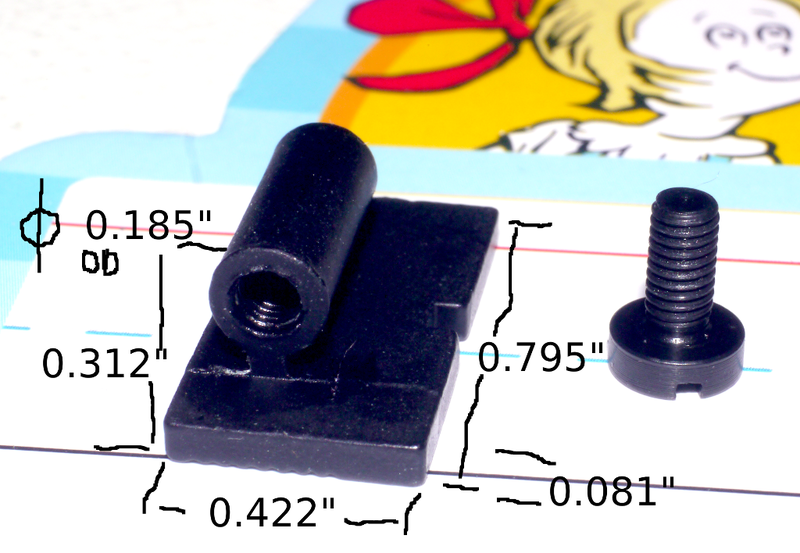 My 3d printer is down at the moment, but since I have a spare sight due to purchasing the rifle kit, I might just glue some black ABS stock on, and maybe enlarge the peep just a tad more than the notch size. I'm not that interested in the pistol version. I have a left handed kid I hope to start introducing to shooting this year. I wanted a peep and two stage trigger to teach him the fundamentals. (He's old enough for B.R.A.S.S - but not ready to learn about BRAS 藍 ) Now I need to figure out how to put a sling on this stock so that it won't torque the barrel. RE: Taipan Veteran .22 Long impressions? Taipan Veteran .22 Long impressions? Question on the SWFA SS HD 5-20x50 Tactical- SWFA SALE ENDS SOON!